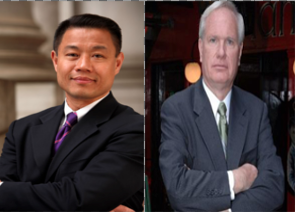 John Liu’s name recognition is strong, if not stronger than Tony Avella in District 11. The future is unwritten, or is it? Since his recent betrayal of the Democratic Party left him alone in the woods, everyone is wondering who will rise to the occasion and primary “maverick” state Sen. Tony Avella? With all the hypotheses circulating around town we’ve all managed to miss one little thing: With every possible candidate in north Queens comfortable and safe in their seats, there’s only one viable candidate that has enough political clout and name recognition to battle the 800 pound gorilla that is Tony Avella. That candidate is none other than John Liu, the only candidate with nothing to lose. With Liu’s recent endorsement of Grace Meng, Congress was out of the question and Peter Koo easily won reelection, so a Council run won’t happen, at least not for another four years. And since no incumbent in their right mind wants to risk losing their seat to take on Tony, what’s left? Where will Liu run? Everyone knows Liu is a natural leader destined to run again, so how about where he lives in SD 11? Could it happen? 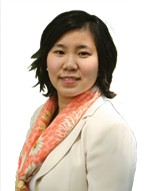 While whites are a majority in the district, Liu’s name recognition could overcome the tribal nature of politics in Queens; where people tend to vote according to race. But this is not a general election, and Joe voter on the street (who love Tony unabashedly) won’t be showing up for a primary, county supporters will. If it comes to pass, the low turnout primary will be a bare knuckle, door-to-door marathon not an endorsement and fundraising sprint. Tony will have to get enough boots on the ground and run the ultimate pull operation to have a fighting chance against a strong County-backed candidate like John Liu. Reality will soon set in when Avella’s traditional support network will not be there for him. This matchup could split labor forces as well, further diminishing Tony’s chances. In this scenario, Liu could win. And While the hunt to replace Avella may end with John Liu (the only candidate that could beat him) it’s also Liu’s best option right now. It was a long and challenging campaign season, especially on the Council level. Congratulations to the winners. Paul Vallone, Peter Koo, Costa Constantinides, Mark Weprin, Rory Lancman, Daneek Miller, Ruben Wills, Karen Koslowitz, Elizabeth Crowley, Donovan Richards, and Eric Ulrich. Daniel Dromm, Jimmy Van Bramer, and Julissa Ferraras. 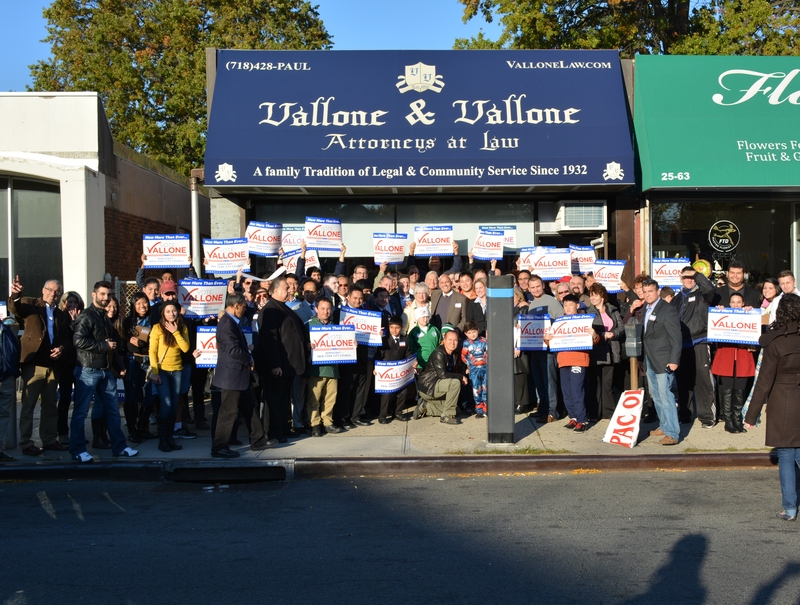 Members from all over the community came out to support Paul Vallone, a candidate for District 19, at a Get-out-the-vote rally in the final days leading up to the election. “It is an honor to have the unanimous support of our elected officials along with so many of our community associations and neighbors. Our GOTV efforts will be the final push that takes us to City Hall. I will work tirelessly to see that Northeast Queens receives what they rightfully deserve, including the proper funding to ensure our school districts remain the best in the City, protecting our quality of life and that the public safety needs of our community are fully served,” said Vallone. As the government shuts down, a critical election in NYC is still underway and New Yorkers are urged to head to their poll sites to cast a ballot. 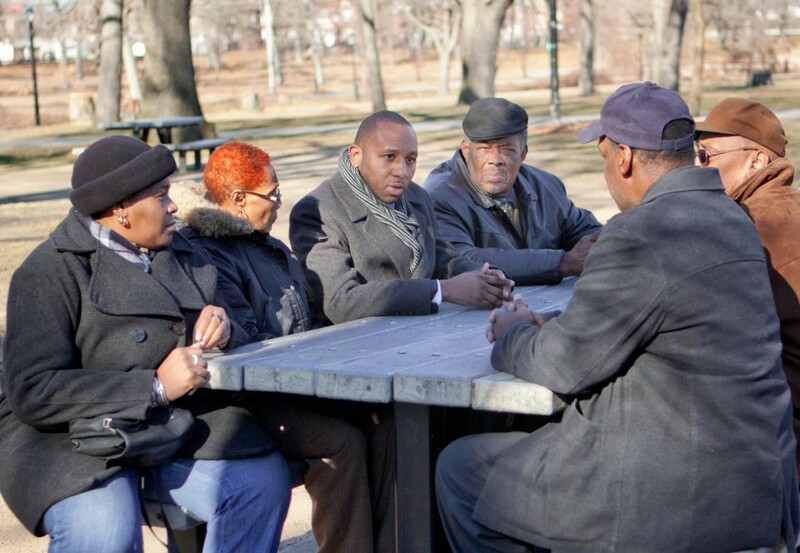 Unlike the rest of the government, the election for NYC Public Advocate is not affected. Polls will be open today from 6 AM – 9 PM as New Yorkers make their way to cast ballots for the next public advocate, aka the citywide ombudsman to New York City government. Two Democrats, Daniel Squadron and Letitia James will go head-to-head in a run-off election. Turnout is expected to be pathetically low, so we here at Queens-Politics are urging everyone to head to their poll sites to cast a ballot in this critical election. Insiders appear to be divided rather evenly between Squadron and James, so do your research and make a decision. Candidates home pages can be found in the hyperlinks above. No excuses, go and vote. Me and Public Advocate Bill de Blasio. It’s certainly been an adventure so far in this electoral season to say the least. As the candidates gear up for one last push to consolidate their voting blocs, Queens-Politics continues to ponder the possibilities that Tuesday’s Primary results will present us with. So without further adieu, here are my suggestions to help guide you through this process. Hailing from North Queens, I’ve kept a watchful eye on the developments in Council District 19 because it’s important to me, it’s home. 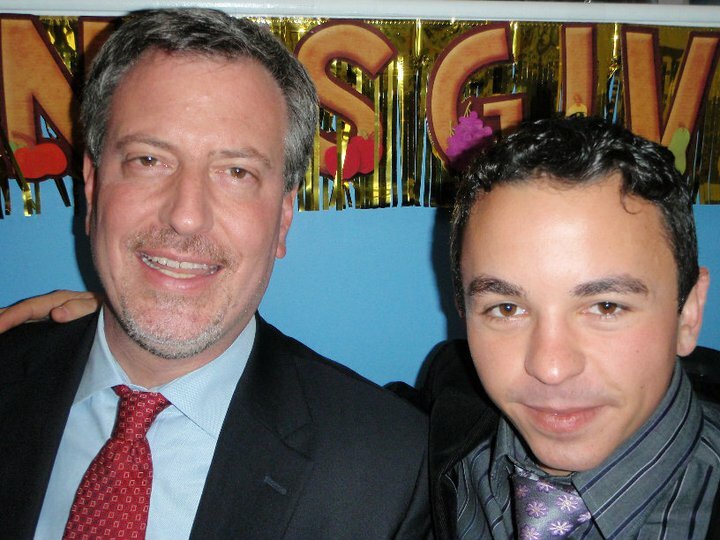 The real race comes down between two candidates: community activist Paul Vallone, whom I fully support, and a trained operative and spin doctor named Austin Shafran. This weekend, Shafran will be making his final push to concentrate the Jewish voting bloc by emphasizing his Jewish heritage – sort of ironic for a man who graduated St. Francis Prep and was married in a Catholic church, but I digress. Did I mention Shafran received money from special interests yet held a press conference to denounce such contributions and outside spending? He’s really worried Vallone is going to win this thing, and I can’t blame him. Despite the misleading blog headlines, Vallone ran a completely positive campaign. Sure, this statement will certainly raise eyebrows on the blogs (which have apparently aligned themselves against Vallone and for lobbyist Paul Graziano) but the whole Jobs For NY issue was NOT connected to his campaign, after all that’s illegal. The powers that be behind the real estate backed PAC independently sent mailers which offended the delicate sensibilities of candidates who obviously could not handle the heat in the kitchen to face the truth about themselves: you can’t have a seedy past and expect to come up smelling like roses. Ignoring these issues is a disservice to the electorate. In politics your record will be challenged and sometimes it’s just not pretty. I believe it’s all part of the vetting process and definitely not for the feint of heart. I’ve faced it myself despite not running for public office and I took it all in stride. If I can do it, so can they. But never in my life have I witnessed such two-faced bigotry from questionable candidates who have fallen to the wayside and become desperate for a headline. And it got even worse on TV. On the NY1 debate, to which everyone of Vallone’s opponents united against him in attack mode, all I saw was a bunch of insecure politicians that ganged up on the frontrunner and showed the public one thing: Paul Vallone will be the very best candidate for the 19th City Council district. As for Queens Borough President, it’s well known that I’m supporting Peter Vallone Jr. and as of now – despite not having the County’s endorsement – it looks like he could win, that is, if enough votes are pulled out. Name recognition credit goes to Vallone, as well as his unwavering support of public safety issues. Queens will be a safer place with Peter Vallone as Borough President. Did we mention the NY POST just endorsed him as well as the PBA? Comptroller? I’m going to go with Eliot Spitzer, and I’ll even go as far as to say he will win Queens just based on name recognition. After all, Manhattan Borough President Scott Stringer has never come around to these parts. No one here has ever heard of him and that’s got to mean something. Public Advocate? We’ve endorsed Cathy Guerriero. Cathy has also been endorsed by practically every law enforcement union in the city, and for good reason. The office of Public Advocate is not meant to be held by a career politician. The Public Advocate is the city’s chief ombudsman – and we need someone in there who’s outside the scope of politics and unafraid to call people out, cut the red tape and do the job well. Hailing from the outer boroughs, Cathy knows the issues important to Queens. That’s why I chose Cathy and I hope you do too. 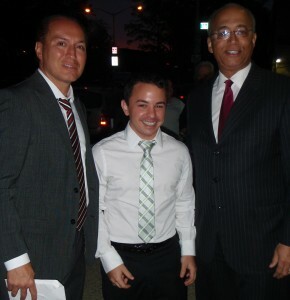 Borough President candidate Peter Vallone Jr. and Bill Thompson. Now I’ve helped out on elections across NYC and I’ve become quite familiar with poll site politics. Poll workers are political hires. They have allegiance to their District Leaders, whom in turn have their allegiance to the County organization (not all but most). In recent elections, there were instances when newly registered voters were told by poll workers they “accidentally” showed up at the wrong poll site and were redirected (sometimes across town). Upon arriving at the new site, they were told yet again they’re in the wrong place and they simply gave up at that point. And who could blame them? Some of these voters were even mailed the wrong poll site location from the BOE. It certainly has the makings of a conspiracy theory. In NY politics, voters are easily disenfranchised especially if your recognized as supporting another candidate running against a County candidate at the polls; they just don’t want your vote to count and it’s hard to prove. As voters, our only defense is to be armed with knowledge and insist on an Affidavit ballot to protect our vote and mitigate any political factors that may have come into play at the polling site. 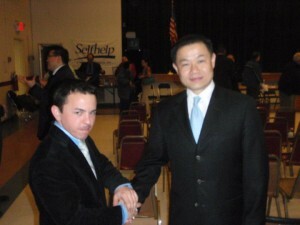 Me and Comptroller John Liu. I can’t honestly go on and accurately predict results because this season there’s too many factors and variables to take into consideration which change minute to minute. My only hope is that people like you will take my suggestions on candidates who have proven themselves to be strong advocates for Queens and cast your ballots accordingly. Now, it may be unscientific, but it’s what’s best for our borough (and yet still more scientific than some of the polls I’ve read), which is my guiding philosophy. Ultimately, neither official polls nor unofficial ones can truly say what will happen with certainty this year. However, the unpredictable nature of this primary election has not stopped a seemingly endless array of pundits, wonks, and psychics from bombarding the airwaves with their half-witted predictions. So who will be the predictive champion? Time will tell. Yes, our posting schedule is quite random but Queens-Politics is here to stay. So check back often for the unfiltered commentary and if you have a tip email info@queens-politics.com. Again, no matter whom you choose, it’s time to get out the vote. Polls are open from 6 AM – 9 PM. Queens voters will be best served with Cathy Guerriero as our next Public Advocate. It’s not often you’ll hear a candidate speak the truth or confront problems head-on and offer innovative solutions with out of the box yet plausible thinking. It’s even less often to see a candidate with the right combination of life experience, hands on skills, and academic background to confront the problems we face as New Yorkers. In NYC politics you must be willing to fight for what’s right. That’s why we’re proud to endorse Cathy Gurrerio for Public Advocate. 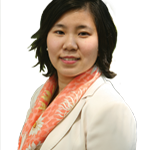 She’ll bring the right set of skills to the table, but most of all we feel she’s the best choice to represent the people of Queens in City Hall. Following her campaign these past few months, one fact becomes clear: Guerriero is not afraid to tell it how it is. Now the Public Advocate’s race has been somewhat overshadowed by the Mayor and Comptroller’s race but this election is just as important, if not more. The Public Advocate, or the Chief Ombudsman, is responsible for presiding over City Council meetings and processing and investigating citizen complaints. They also have the power of the bully pulpit to which they can use to provide a watchdog function in city government. Now the powers are very broad, the office has the latitude to sit a lame duck or the city’s chief ombudsman. The office of Public Advocate in NYC is very much what you make of it, and Cathy Guerriero will bring the right mindset and qualifications to make the most of it. 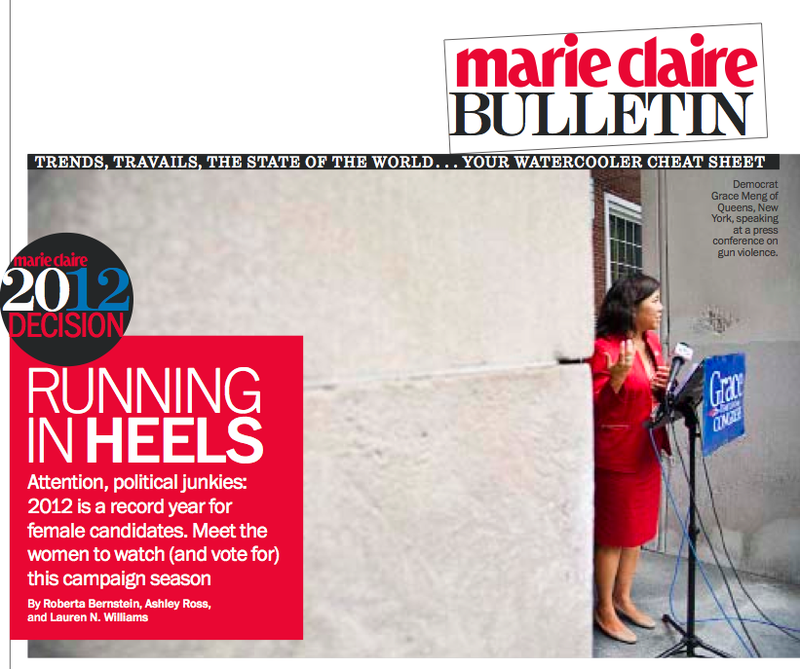 While her opponents have run dynamic campaigns, we regard Cathy as the far more qualified candidate. As New Yorkers, we’re going to need someone in the PA’s office that comes from the grassroots (and is not a career politician) in order to keep the Mayor, the Comptroller and the City Council all in check. We’re going to need an advocate that will standup when others sit down. That’s why we’re proud to endorse Cathy Guerriero. As voters, we need to make sure that the Public Advocate’s office is about helping people, and we now have the candidate that we know will do exactly that. Cathy has a great shot at winning; she’s been endorsed by the largest voting blocs in Queens (she’s been very busy networking) and practically every union in the city. If people like us take our friends, our neighbors, our family to the polls — then we can make sure that Cathy Guerriero becomes our next Public Advocate. We hope that you will make every effort you can to support this reform-minded candidate in her run for public office, and help return the reins of city government back to the working class. 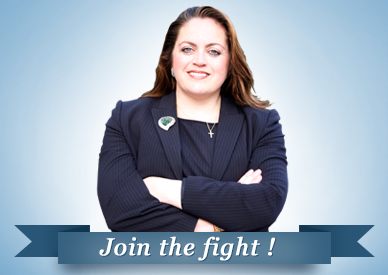 On September 10, we hope you will vote for Cathy Guerriero to become our next Public Advocate. There’s a special election this week, and the people of South Queens will have a chance to elect a tried and tested reformer and civic activist into City Hall. That’s why we here at Queens-Politics are proud to endorse Donovan Richards for New York’s 31st City Council District including the neighborhoods of Far Rockaway, Laurelton, Springfield Gardens and Rosedale. On Tuesday, February 19th from 6am-9pm the polls will be open and we’re asking you to please make time to cast a ballot. Every vote counts. Low turnout is expected in this crowded race which can go anyway, but with your help we can elect Donovan into City Hall. To read more about Donovan Richards, click here. 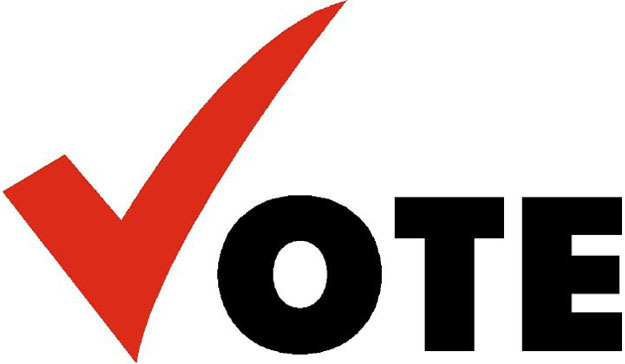 To locate your polling site click here. To contact the campaign click here. In response to a widely publicized visit to Israel, a spokesman for Grace Meng points out that Dan Halloran’s well-timed trip should not be withheld from scrutiny considering his support of Ron Paul’s presidential campaign. “Grace Meng visited and took interest in Israel long before this congressional election, while Dan Halloran was busy trying to get the most anti-Israel Member of Congress, Ron Paul, elected to the presidency. Just a few months ago, Mr. Halloran proudly stood as a delegate for Ron Paul’s presidential campaign; now he’s all of a sudden discovered Israel.” – Austin Finan, spokesman.